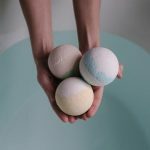 If you’re skeptical about natural deodorants because you think they can’t possibly keep you dry and smelling fresh, Bubble & Bee Organic Bath and Body will make you a believer. Bubble & Bee Organic sells several 100% organic deodorants available in spray or solid form. 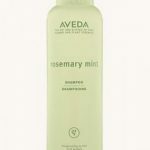 The line includes “Pit Putty,” “Geranium Lime Pit Putty,” “Truly Herbal 100% Organic” stick or spray, and “Lemongrass Rosemary.” Lemongrass Rosemary is available in stick form or spray. All Bubble & Bee deodorants come with a “Deodorant Guarantee.” What this means is, if your first deodorant does not work, the company will help find one that will better suit you. The guarantee lasts for 30 days and is only good for returns, not cash refunds. Bubble & Bee’s guarantee is just another way the company wants to let the public know that it stands behind its products. Bubble & Bee Organic uses a number of all natural, but highly effective ingredients in its deodorants. 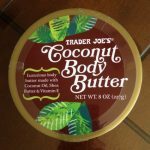 Just a few ingredients include: beeswax, organic essential oils such as lemongrass and rosemary, and cocoa butter. Like all Bubble & Bee Organic products, the deodorants do not contain parabens, aluminum salts, or propylene glycol. Other natural ingredients include organic soybean, sunflower, tea tree, cloves, spruce, coconut, lime, and geranium oils as well as arrowroot powder. You may purchase Bubble & Bee Organic online by visiting the official website at www.bubbleandbee.com. You may also purchase by calling Bubble & Bee at 1-801-560-7899. Bubble & Bee Organics’ goal is to “inform others about the importance of staying away from dangerous chemicals in our world of fancy products with entrancing colors and fragrances.” The company’s goal carries over into its products, of course, and the company also stays true to its name by creating products that are paraben, phalate, and artificial fragrance free. Bubble & Bee Organic published the following pledge on its website to let the public know that it stands behind its products. Never use a synthetic ingredient if there’s even a small question about it! 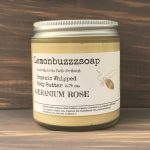 Bubble & Bee Organic sells bath and body products, candles, and spa products. 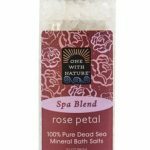 Bath and body products include: deodorants, shower gels, soaps, lotion bars, and salts and scrubs. Spa products run the gamut from robes and bamboo fiber towels to loofahs. The company also sells shampoos and even insect repellants. Bubble & Bee has a wide variety of products in each group—too many to list here, so here are just a few examples of some of the company’s top products. Ingredients: Saponified Organic Oils of Coconut, Olive & Jojoba, Vegetable Gum / Glycerin Extract, Sweet Orange Essential Oil, Organic Aloe Vera, Rosemary Extract, Organic Eucalyptus Essential Oil. Ingredients: saponified oils of organic coconut, olive, and jojoba, vegetable glycerin, organic guar gum, organic sweet almond oil, organic jojoba oil, organic lemon essential oil, rosemary extract.